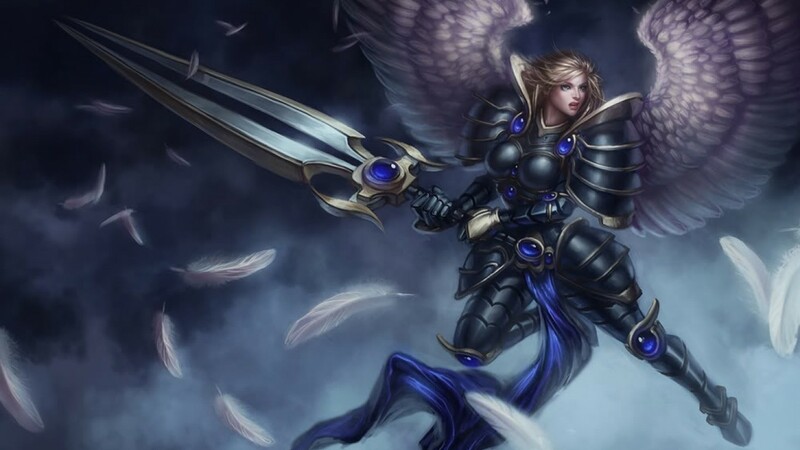 In a world far away where an ancient war still rages, Kayle was a great hero – the strongest of an immortal race committed to destroying evil wherever it could be found. 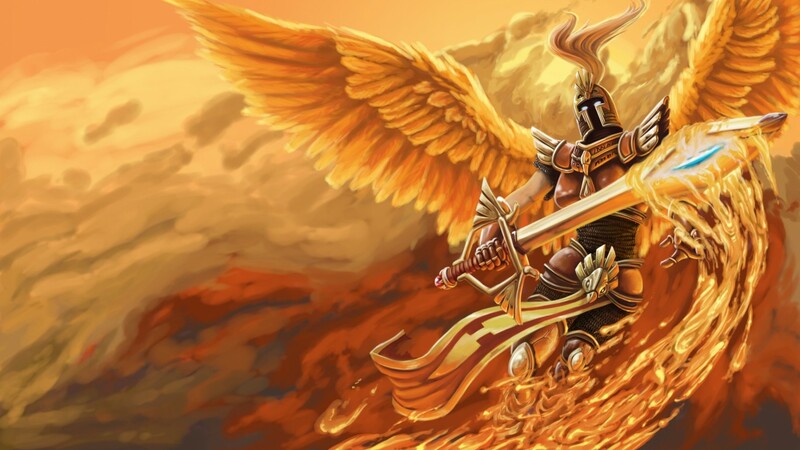 For ten thousand years, Kayle fought tirelessly for her people, wielding her flaming sword forged before time itself. 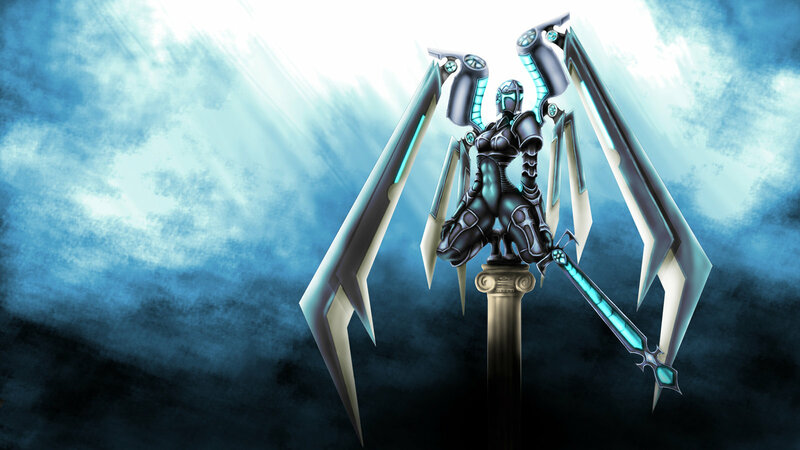 She shielded her delicate features beneath her enchanted armor, the sole remaining masterpiece of an extinct race of craftsmen. 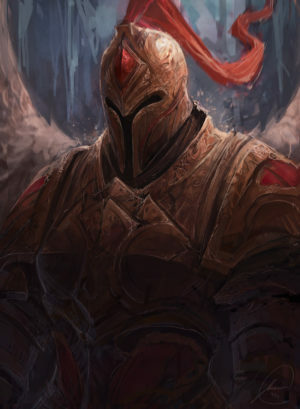 Though a beautiful, striking creature, Kayle, now as then, avoids showing her face; war has taken a terrible toll upon her spirit. 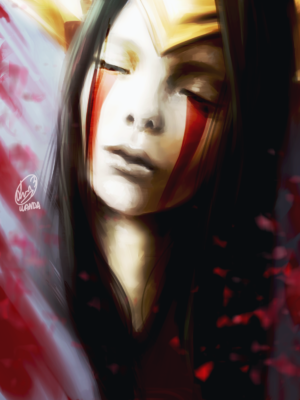 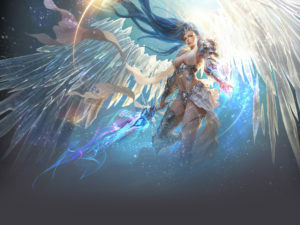 In her quest for victory, she sometimes would try to lift the wicked up from their morass of evil, but more than often she instead purged those she herself deemed beyond redemption. 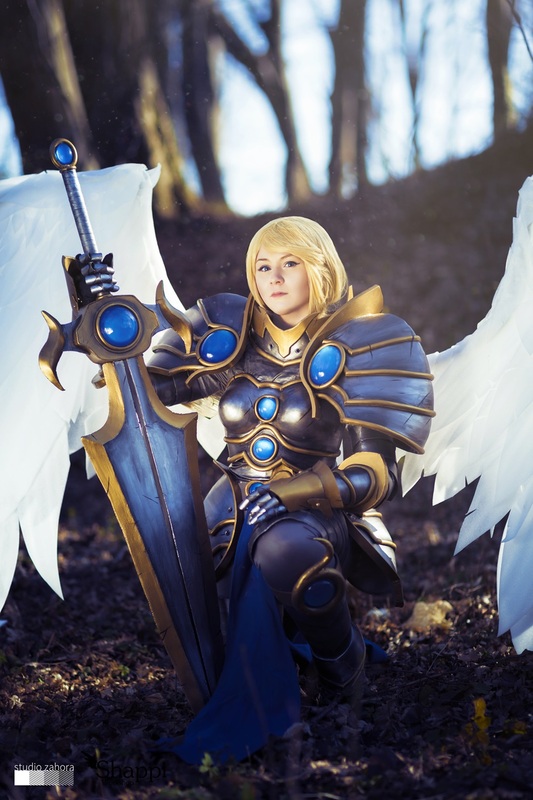 To Kayle, justice can so often be an ugly thing. 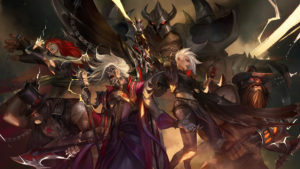 Ten years ago, Kayle’s war against evil was nearly won… until her rebellious sister Morgana, a pariah amongst their people, suddenly gained powerful new allies: magicians of a hitherto unknown world called Runeterra. 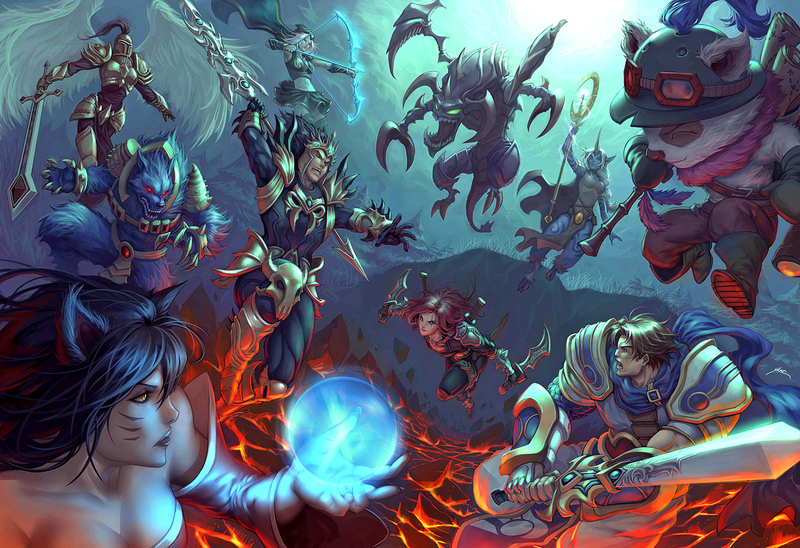 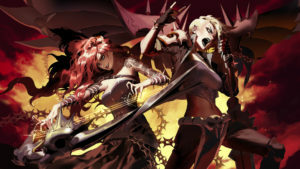 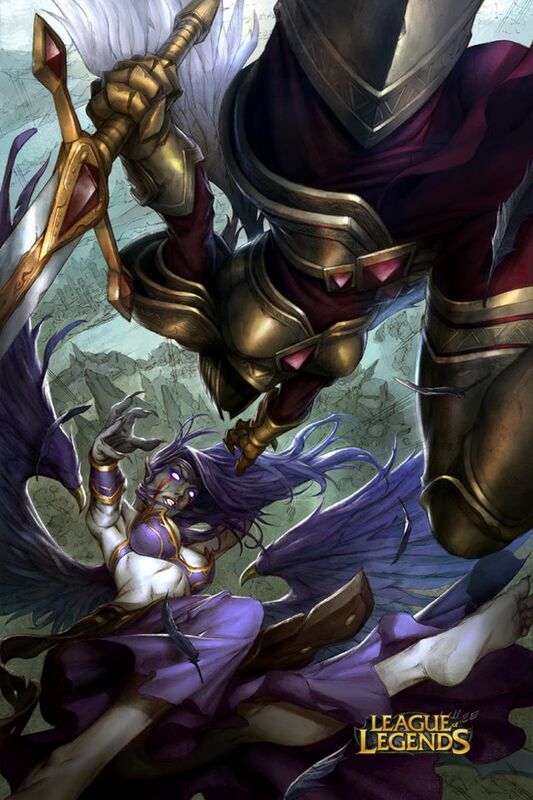 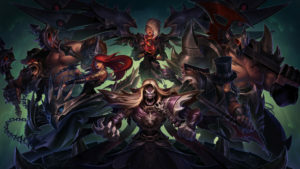 Morgana traded servitude to a number of the summoners in Runeterra’s League of Legends for powerful new abilities that, if mastered, threatened to bring Kayle and her people to their knees. 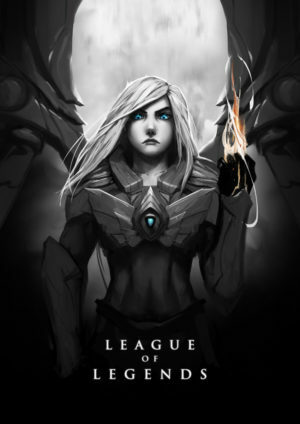 To save her world, Kayle had no choice but to make a pact with the League herself. 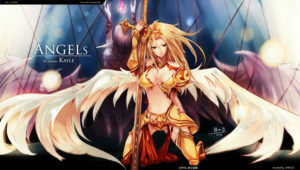 She approached the leader of the League, High Counselor Reginald Ashram, with a deal of her own. 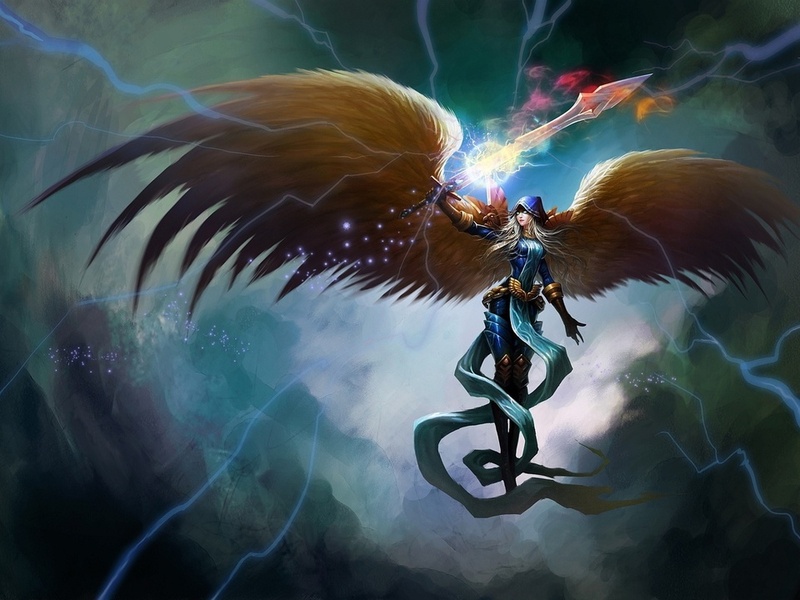 In exchange for a thousand years of Kayle’s service, Ashram halted all League interference on Kayle’s world. 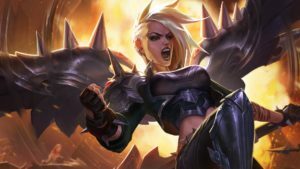 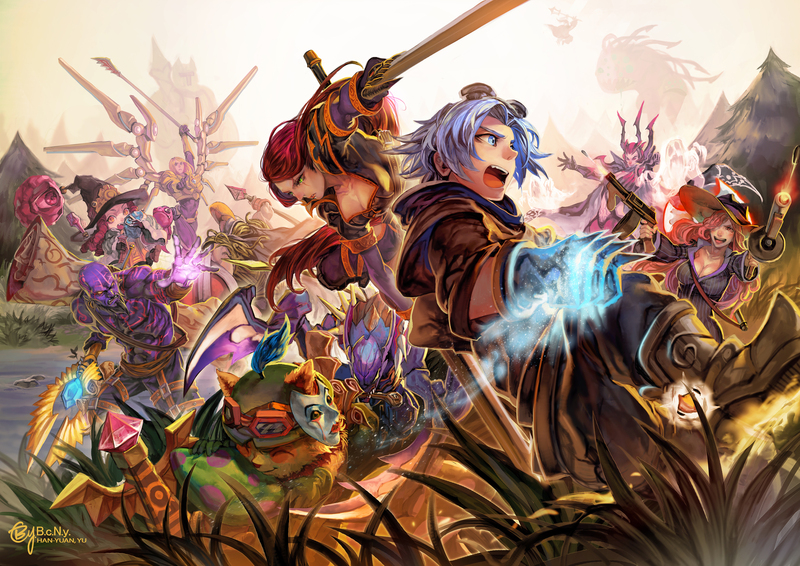 With Ashram’s disappearance five years ago, Kayle has new causes on Valoran: find out who or what caused Ashram to disappear, defeat her sister Morgana upon the Fields of Justice, and bring her own brand of justice to the League of Legends.